Cutting onions is not fun. The moment you start chopping, your eyes start stinging uncontrollably, you struggle not to keep rubbing them. And before long, it looks like you’re having a breakdown as you prepare dinner! The good news is, it doesn’t have to be that way! You may have heard of “hacks” like wearing swimming goggles while chopping onions (let’s be real, who wants to do that?). Or cutting the onions under running water (and potentially making a mess), but this one is far simpler and guarantees no more onion slicing tears! 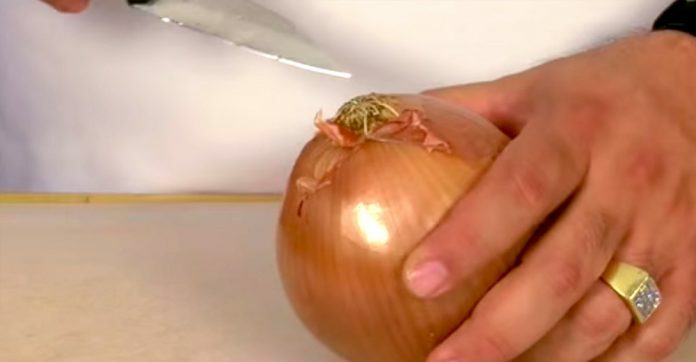 Jack Scalfani, the popular Internet chef, has decided to share a way that many cooks, professional or otherwise, use when chopping onions to avoid those red eyes. All you have to do is find the root of the onion and remove the bulb from the vegetable. The bulb is the part of the onion that contains the gases that make our eyes sting and water, so if you remove the bulb, you won’t have this problem! 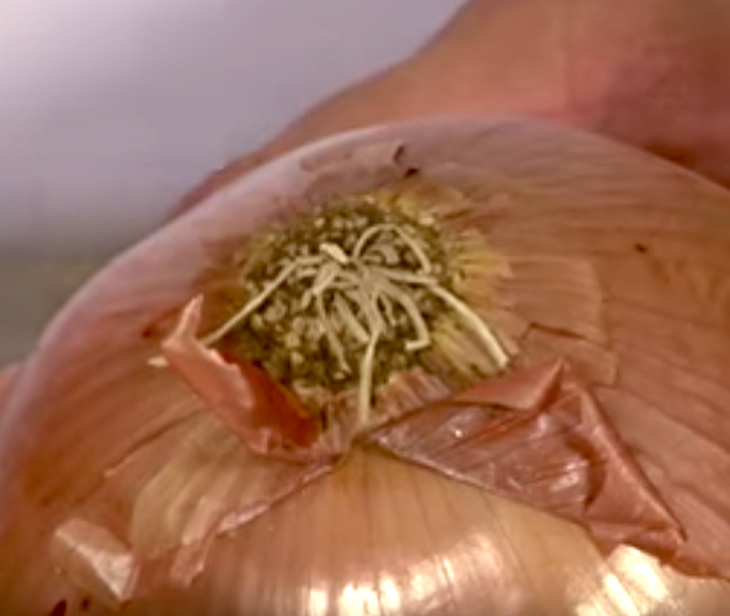 To properly remove the bulb, find the rooted end of the onion and point it upwards. 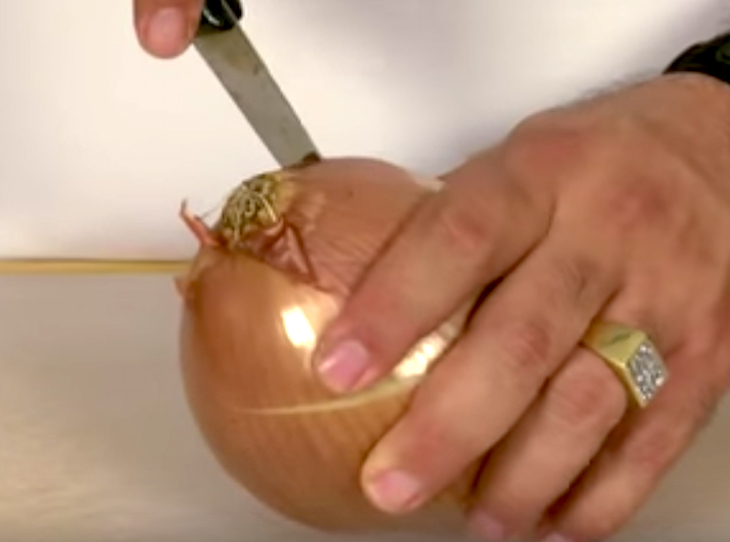 Use a paring knife to make an angled cut in the onion, then work the knife in a circular movement round and round surrounding the root. Once you’ve made a full circle, you’ll be able to easily use your hands or a similar tool to simply pull the bulb off. All that’s left to do is peel the onion’s skin off and then you can chop as you please! Need some extra visual guidance? Check out this video, posted by Scalfani himself, to find out exactly how to do this trick and escape unscathed during meal prep!